Well, we all love RV camping and want to do it all we can. Wouldn’t it be great if we could do it without paying for a campsite or maybe even getting paid a little in addition to the free site? It’s certainly possible. 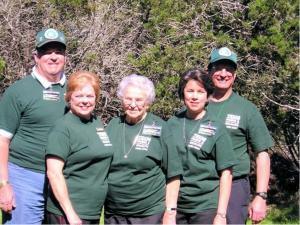 My wife and I do this all the time in the form of volunteering at Texas state parks. 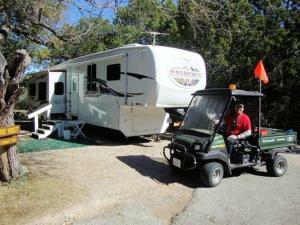 Other RVers find a way to make money while camping as a way to supplement their retirement or even as a full time job. Some of the volunteer or work camper opportunities include, but are not limited to tourism related, seasonal work like Christmas tree farms or sales lots, vending at flea markets, park activities directors and property caretakers as well as the usual park hosting jobs. Let’s check out how you can do this too and how to make sure that it will be a positive experience for everyone involved. Here we go! Please don’t dismiss the idea of work camping or volunteering because you are not yet retired and have the responsibility of a full time job. My wife and I got started volunteering by using our vacation time to volunteer at our favorite state park in Texas. After that we knew that we wanted to volunteer more when we retired and the experience has been fantastic! Most parks or campgrounds will probably prefer that volunteers or work campers stay for at least one month, but there are certainly exceptions to this rule. It costs you nothing to ask and most park managers would rather fill a job even on a short term basis rather than have the job go unfilled. Let’s talk about how you can get started. Find a campground that you really like and ask to speak to the park owner, manager or the volunteer coordinator. Tell them that you are interested in volunteering or ask about employment opportunities for work campers. Be sure that you fully understand the expectations of the park owner/manager and be sure that he/she understands your expectation as well. Be careful if you are asked to sign a contract. It’s up to you, but you may want to keep the option of “turn the key and leave” in the event that things have been misrepresented to you. If this is a work camper job and there is pay involved you may want to be sure that the manager will withhold tax money so that you won’t be surprised with a big tax bill later on. This initial interview is a good time to get specifics about what you will be expected to do as well as the hours required. It’s also good to discuss experience and training that you have had. You may possess a skill that is needed at this park. If this job just gives you a free campsite and a small stipend then carefully consider the time and work commitment. Why perform $1,000 worth of work in a month for a campsite that would rent for $400.00 for the same month? Of course, if it is a volunteer job then money wouldn’t be a problem. Just be sure that the job will be rewarding and fulfilling to you. 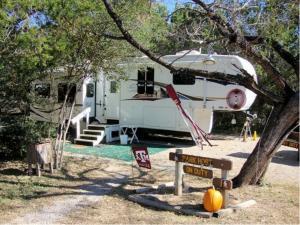 Of course you will want to be appreciated and considered an asset the park or campground. Let’s talk about some ways to make this happen. You should treat even a volunteer job as though you will someday ask the park management for a referral letter or a positive recommendation for another job in the future. Smile! Be cheerful and helpful to park visitors, staff and other volunteers. Be proactive (within reason). Wash the park truck, empty the office trash or pick up litter without being asked. I keep tools, jumper cables and a small air compressor in my RV and I make the park staff aware that I’m willing to help anyone in need of assistance. This will free up a lot of their time and they will appreciate your gesture. Let’s mention a few things to avoid so that you don’t upset the park management or visitors. You are there for the benefit of the park visitors and to assist the staff; not the other way around. Don’t become too comfortable in your position and never assume that you have any actual authority. Avoid excessive personal use of golf carts or park vehicles. Avoid excessive chatting with park staff or visitors in the park store or at the check in desk. Avoid gossip – especially concerning park staff and management. Avoid using park resources like tools, supplies or vehicles without permission. Avoid being the kind of worker that requires constant supervision. Finally, don’t leave without notice. Even if the job terms and conditions have been misrepresented to you be sure to tell management that you are leaving and why. That’s enough of that! Let’s talk about some positive things for a change. Since my wife and I are primarily park hosts, I’ll give you a brief overview of the host job. Remember that host duties will likely be different from one park to another, but you just can’t go wrong if you treat visitors the way that you would want to be treated when you visit a park. Smile (‘heard that before?)! Dress in a manner that is comfortable yet appropriate for the job. In some cases shirts and hats or uniforms will be provided. Be sure to wear your ID badge if one is provided. Always conduct yourself in a friendly and professional manner. Have fun! No one said that you can’t enjoy yourself. Remember that you must follow the park rules like everyone else, especially if you are on duty. This also means that if you are going to enjoy a cocktail in your RV in the evening then you shouldn’t have contact with park visitors, wear uniforms or volunteer shirts, hats or badges or operate park vehicles after that point. Remember that the park host is not the park cop. If a visitor comes to you with a problem that should be handled by a peace officer then contact the park staff. It is usually permissible to politely remind folks about park rules like pets on leashes or loud music after quiet time, but do not attempt to enforce these rules. Always contact the proper authority. It would be helpful to include campsite numbers, descriptions and vehicle license plate numbers. Be sure to have a supply of park maps on hand so you can give them to visitors that didn’t get one when they arrived. Try to learn as much about the park and surrounding area as possible so that you can answer questions and give directions when needed. If in doubt about anything be sure to ask another volunteer or contact a member of the staff. Be sure to have a list of locations and contact information for local hospitals, minor care facilities, doctor’s offices, veterinarians, and auto or RV repair shops as well as phone numbers for members of the park staff. I recommend that you keep this near the entry door of your RV in case someone comes to you with an emergency. At that point it’s too late to start searching for the needed information. Special care must be exercised when operating park vehicles. Check with your insurance agent to be sure that your policy covers you while driving a park vehicle. Be careful here. Most policies will cover you in most cases, but have your agent check the fine print. Most policies do not cover you if you are driving state or government owned vehicles as would be the case in state or national parks. We added an additional endorsement to our policy which takes care of this for a very nominal cost. While we are on the subject, be sure that you use common sense while operating these vehicles. Treat them like they were your own personal car. Drive carefully and obey all traffic rules and speed limits inside the park. Use the vehicle only for what you are authorized to do. Check oil, coolant and other vital fluids as well as tire pressure regularly in order to avoid mechanical problems (once a week minimum). Be sure to notify the park staff if there are any problems with a vehicle. There are also other jobs available besides the host job. Many volunteers or work campers do mechanical and maintenance jobs, carpenter work, welding, plumbing and electrical work if they are qualified. Volunteers also may help with interpretive programs such as bird watching and nature hikes. Some folks clean the restrooms and shower houses. Don’t turn your nose up at this job. We’ve done it many times and it can be one of the better jobs at the park. ‘An hour or so a day and you’re done! Some folks prefer these cleaning and maintenance jobs to the host job because they may feel less tied down to the host site. Let’s talk very briefly about how to locate work camper jobs and/or volunteer opportunities. Besides going to your favorite park and asking to work you can also go on line and do a search. I just typed in the words “work camper” and got so many sites with so much information that I could never sift through it all. Some examples are www.jobsonline.net , www.work-for-rvers-and-campers.com , www.workamper.com . In the case of state or national parks, just go to the website. You will probably find a link for volunteer opportunities. Word of mouth is also a great way to find these opportunities. You’ve probably got some friends or family members who volunteer or work at parks so just ask them where they’ve been and where they like to work. There’s much more to this than a small stipend or a free campsite. Many of the people we’ve met while volunteering have become dear and lifelong friends and you just can’t put a price on that. I invite every RVer to put work camping and/or volunteering on your “bucket list”. Give it a try and enjoy the experience. Warren would be delighted to answer any RV related questions that you may have and would be happy to send you some or all of his other articles. He can be contacted at wpetko@sbcglobal.net .